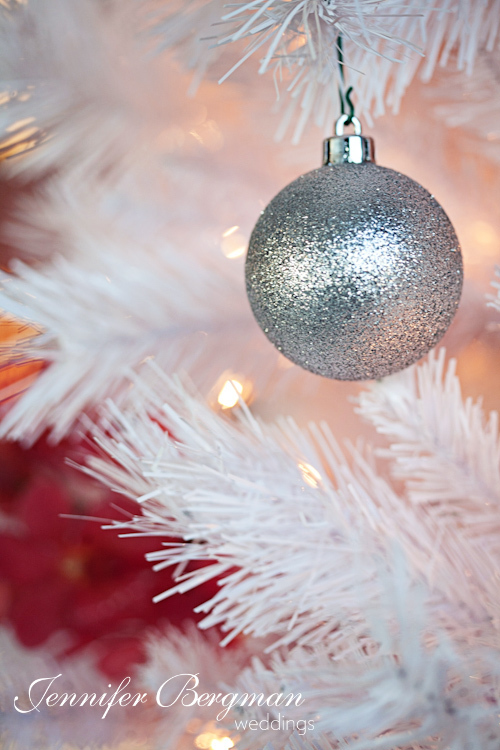 Holiday celebrations can be festive without screaming clichés. 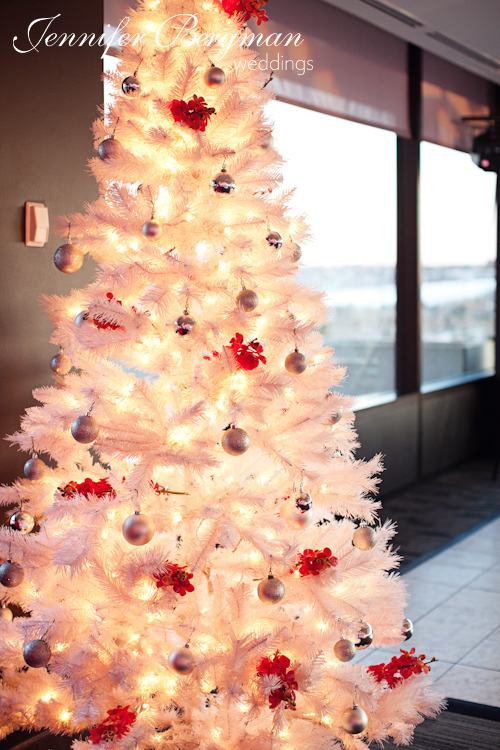 In December we designed a modern lounge-inspired holiday party in Shaw Conference Centre’s Riverview Room (and there was no tinsel in sight)! 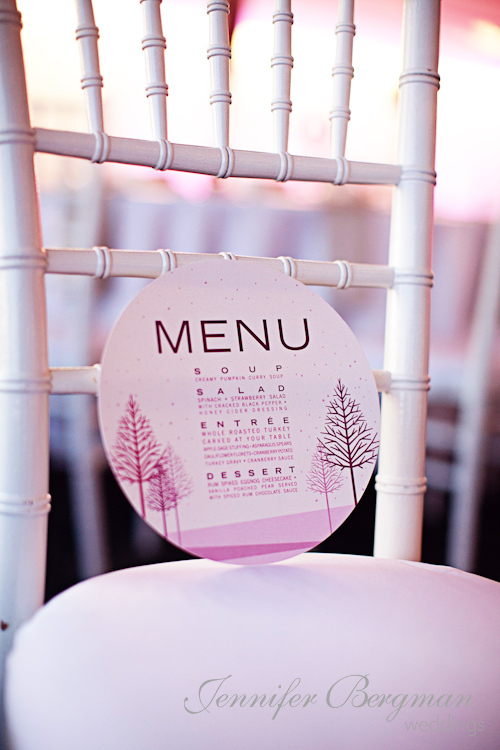 Some of our favourite design details? 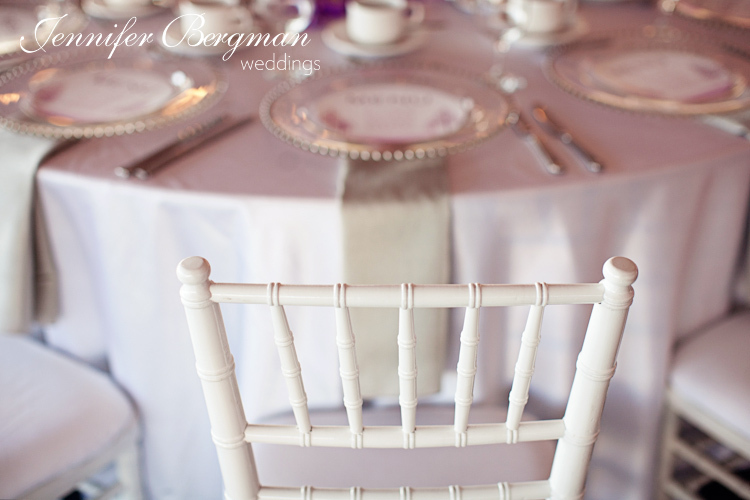 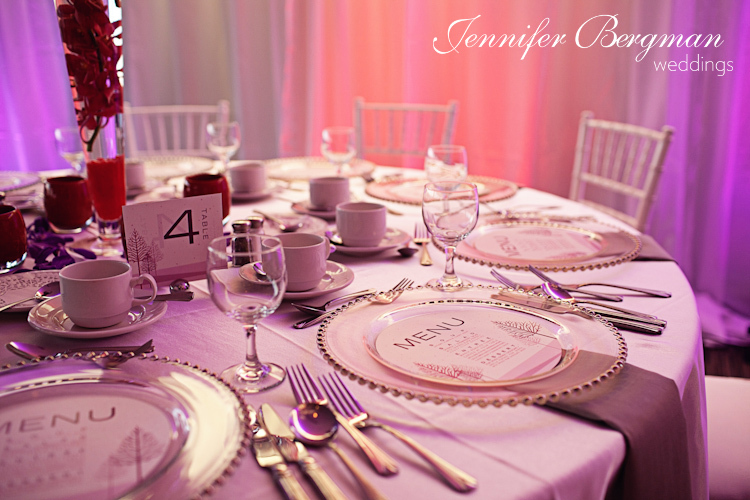 All-white linens and chiavari chairs exuded understated elegance and allowed colourful accents to ‘pop’. 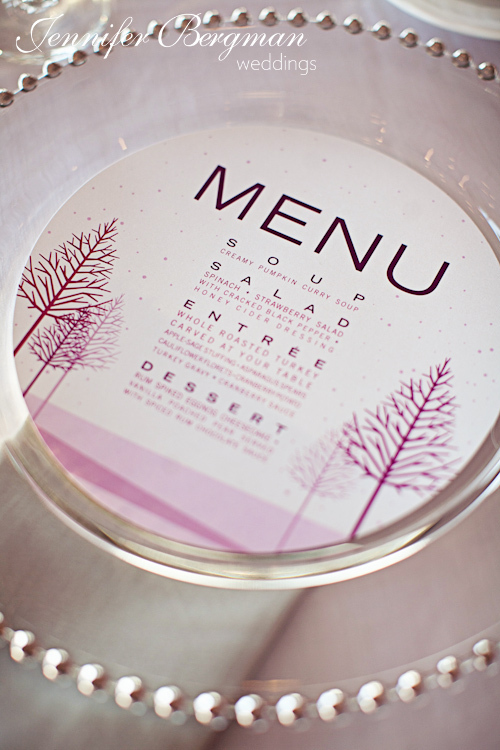 Custom die-cut menu cards by Pinkpolka Wedding Design fit perfectly inside silver beaded glass charger plates. 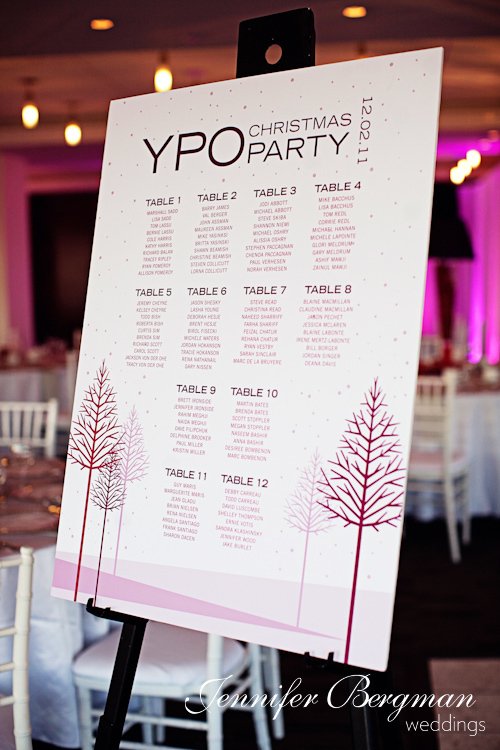 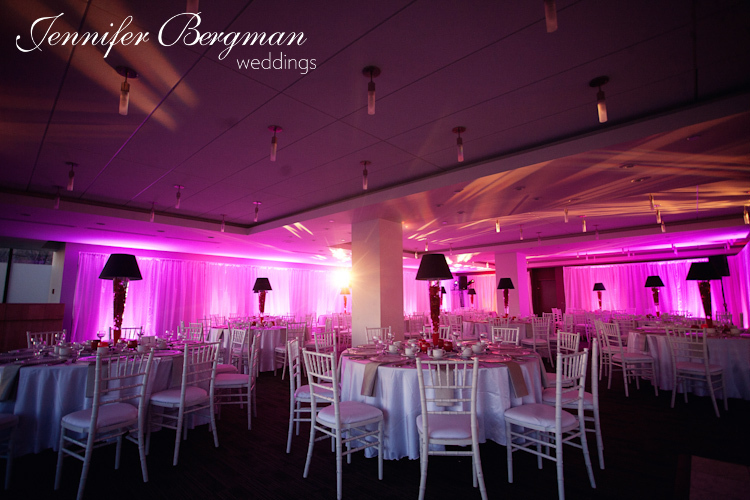 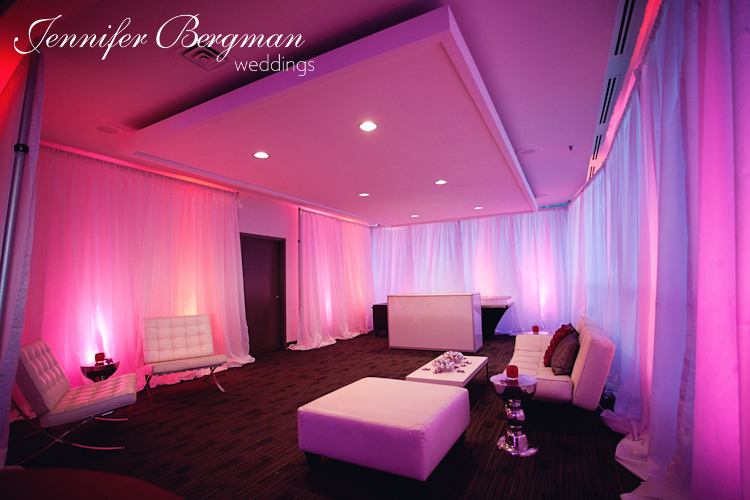 White perimeter drapery was accented with beautiful shades of pink and purple, while snowflake gobo lights added a textured glow to the ceiling. 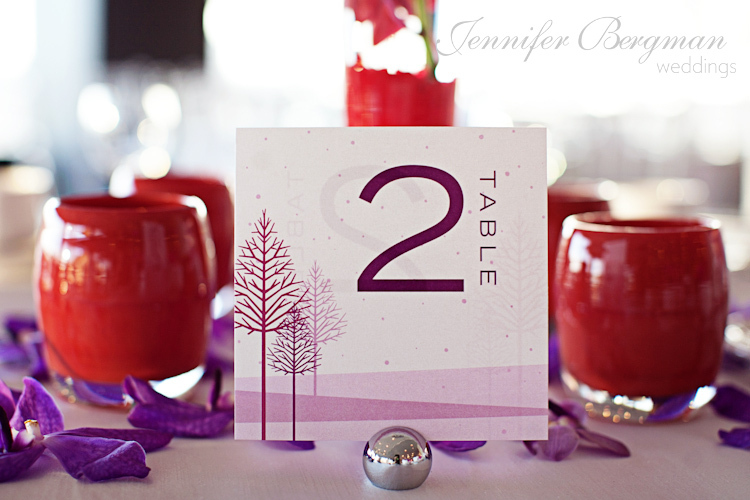 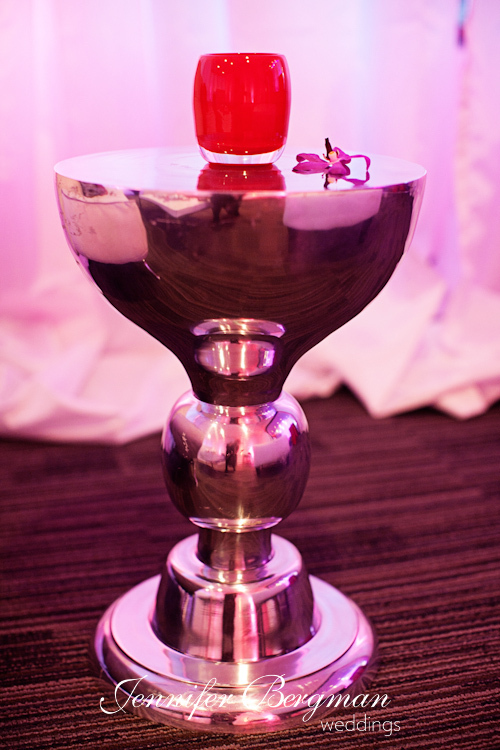 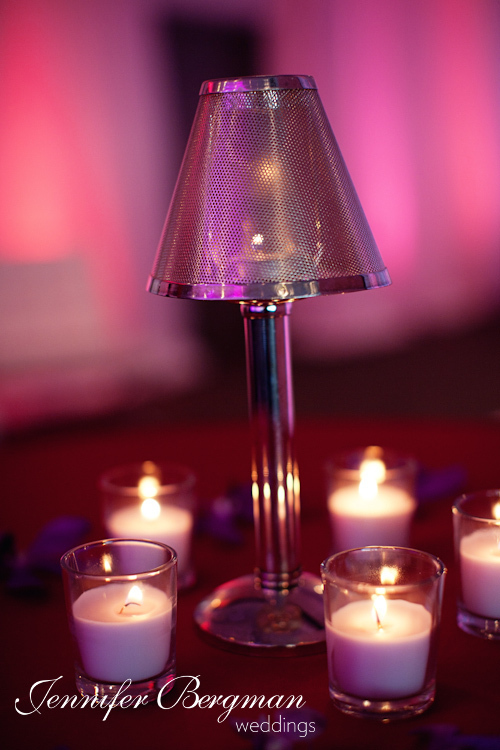 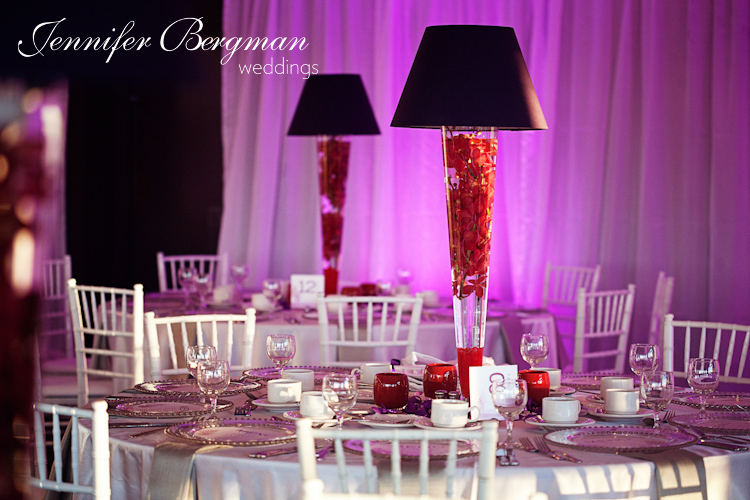 Centrepieces with red mokara orchids and purple lamp shades created a bold colour-blocking effect. 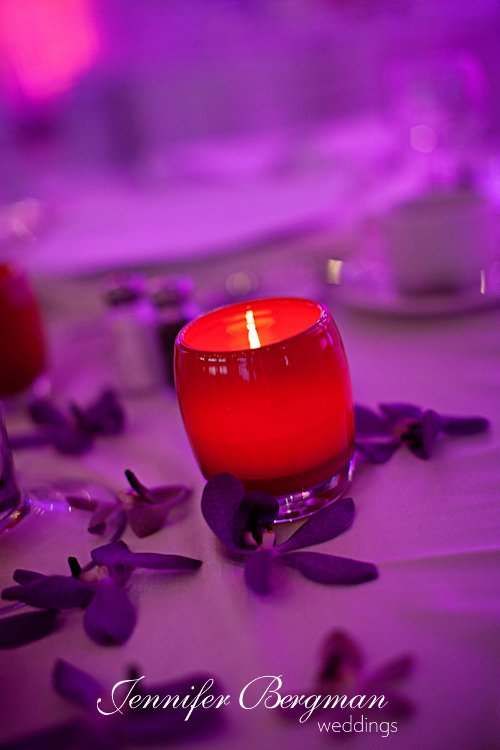 Ruby votives by local company glass.ful doubled as décor and favours. 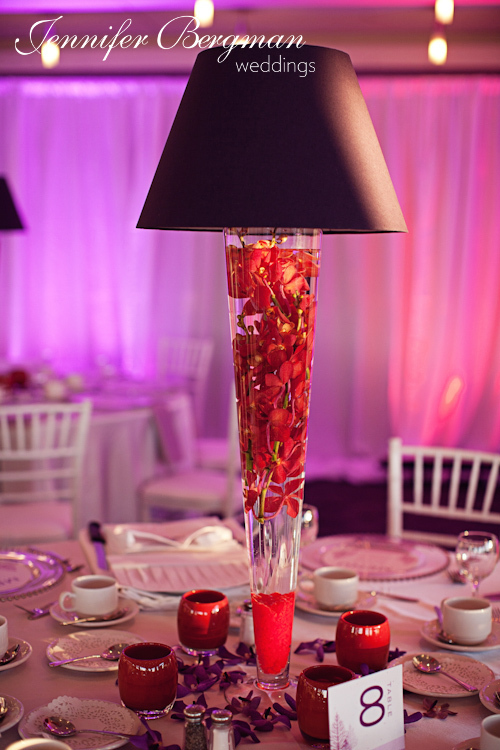 The Three Waiters entertainment group were flown in to provide an experience that guests won’t soon forget. 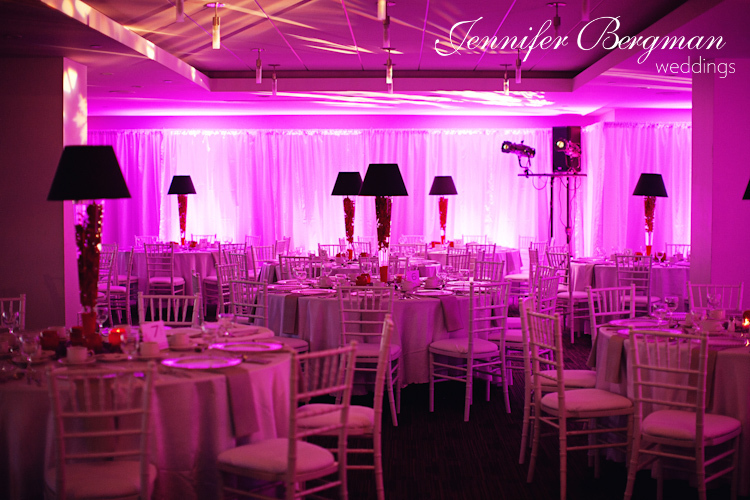 They discreetly blended in with Shaw’s serving staff until breaking out into a full-fledged musical performance! 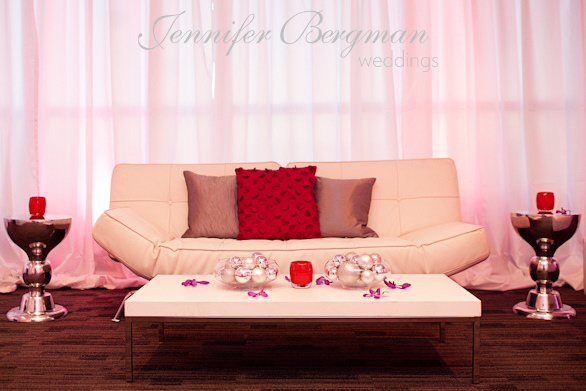 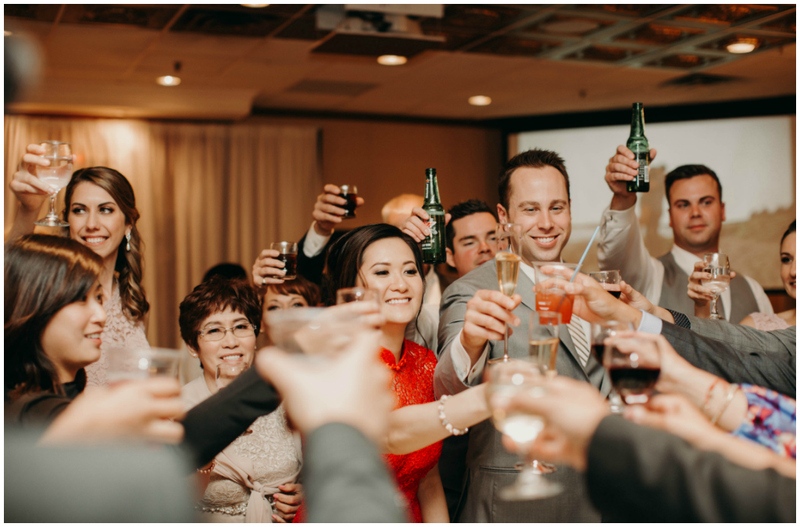 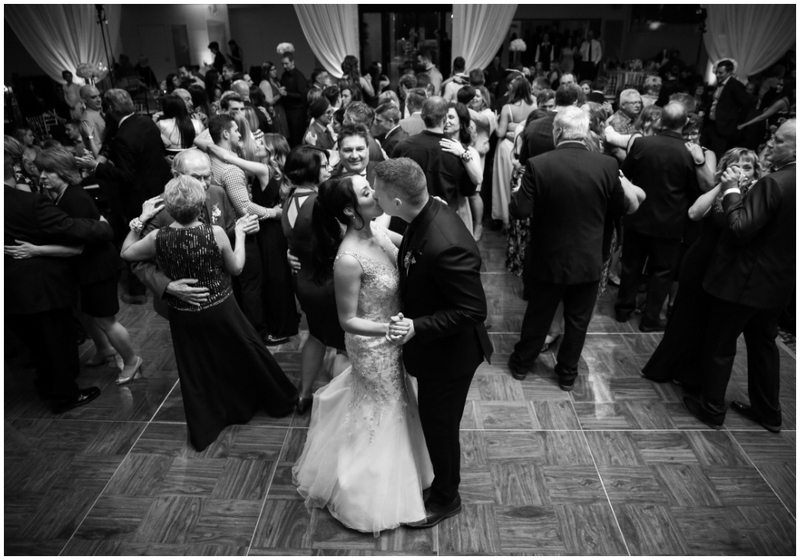 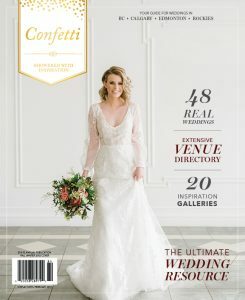 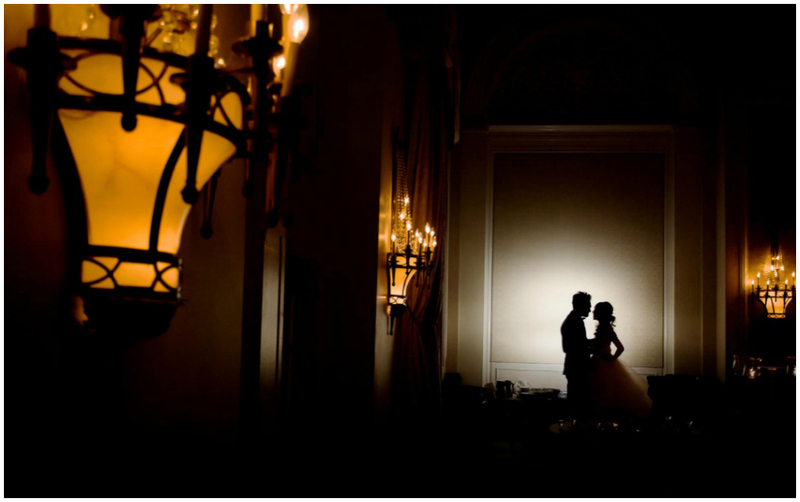 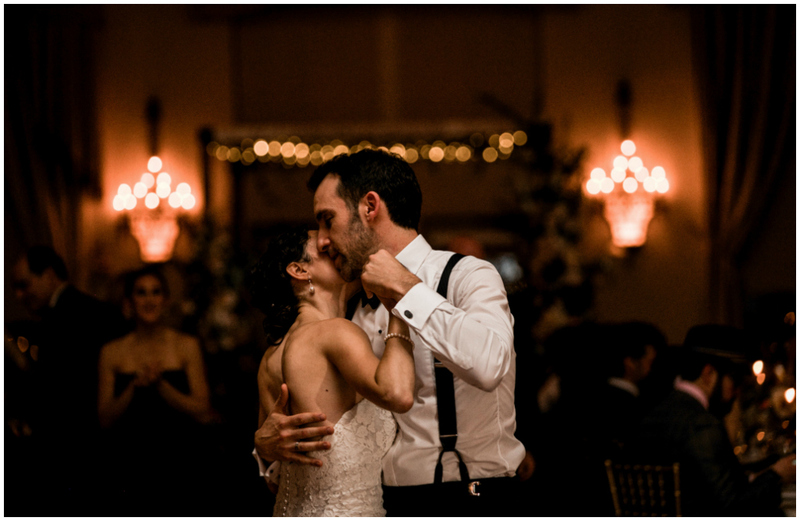 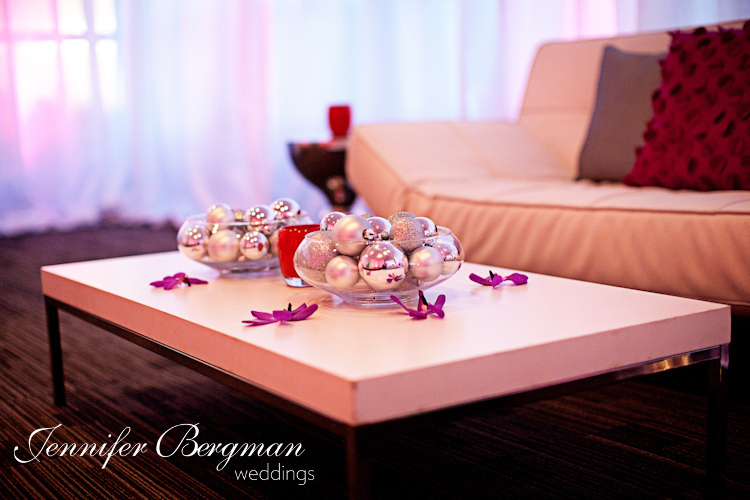 "Jennifer Bergman Weddings made planning our wedding so much easier and we believe actually saved us a lot of money…there were so many moments during the planning process where we felt that this service was one of the best investments we could have made."